Subject: [CHART] How Many Oil Jobs Were Lost in 2015? [CHART] How Many Oil Jobs Were Lost in 2015? It's not yet clear exactly how many oil jobs were lost in 2015, but many estimate the number surpassed 200,000. That's a huge hit considering roughly 600,000 people worked in the energy sector earlier this year. 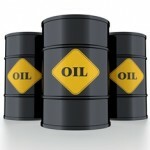 Crude Oil Prices Today: The Other Side of the "Glut"
Oil Prices: Black Swan or the Work of Vultures? If one number summarizes the oil price meltdown, it's 150,000. That's about how many oil jobs have been lost in 2015 as of Aug. 2. It's a massive hit considering about 600,000 people work in the U.S. energy sector. Crude oil prices continue to be volatile, with both Brent and WTI falling about 3% Wednesday. But near-term volatility aside, oil prices are recovering from their recent lows. Brent has gained more than 30% since late January and is now over $60 a barrel. WTI is over $52. While oil isn't going to surge in the short term, there are definite opportunities here. Oil won't have to hit triple digits for them to pay off, either. In an oil market version of a game of chicken, Saudi policymakers are trying to make U.S. producers blink first. And it's starting to work. U.S. rigs are being brought offshore and drilling projects are being shelved. This will have an impact on the supply side in short order. By this summer, oil prices may be back to a range of $65 to $70 a barrel. Crude oil prices continue to drop in the wake of Saudi Arabia's shift in leadership. U.S. policymakers will have a tougher time with new King Salman than they've had in some time. The new leader and his Oil Minister are the architects behind the current Saudi policy, of which there are three main targets. Gas prices across the nation are on track to sink below $2 a gallon by the end of January for the first time since March 25, 2009. Twenty-five states and more than 50% of U.S. gas stations averaged sub-$2 a gallon gas prices on Jan. 20 according to AAA. The average U.S. gas price could fall to $1.95 - or even lower - "over the next few weeks." And so for the first time in almost six years, many American motorists will joyfully watch local gas station prices tick under $2. They'll also save an estimated $750 on average at the pump in 2015 compared to last year, according to GasBuddy. The price of oil rose dramatically Tuesday, posting its best one-day performance since 2012. All of this occurred in a market with oversupply concerns still unresolved and a continuing host of short artists poised to pummel futures prices at any opportunity. The pundits continue to hawk the same reasons for the fall in crude oil prices today. These are always "spearheaded" by comments about surging global supply led by the onslaught of unconventional (tight and shale) oil production in the United States. Invariably, what's missed by these "TV sages" are the pricing dynamics kicking in that virtually guarantee an increase in oil prices as we move into 2015. Crashing oil prices are certainly one of the biggest stories of the past six months. Are supply and demand really the drivers at work? Is it political warfare above all? How will global markets react when prices rebound? One way or another, the implications of much lower oil prices are huge, and will impact markets, industries, and sectors across the board throughout the coming year. All of which leaves investors wondering what to do next, and how to play this changing-by-the-day industry. There's no time like the present to take a look at the potential pitfalls, and the emerging opportunities, that this disruption brings... and to let you know about a medium-risk way to play it for near-term profits. Current crude oil prices in the United States were on pace for a two-day winning streak Thursday amid modest gains. In early afternoon trading, WTI prices were up $0.04, or 0.08%, to $48.69 a barrel. Brent crude, meanwhile, was lower by $0.25, or 0.49%, to $50.91 just after noon. For the first time since 2008, stocks traded down on the last trading day of the year and the first trading day of the New Year. Whether this will prove to be a mere statistical curiosity or a harbinger of troubles ahead remains to be seen, but there are enough headwinds facing investors to force them to don foul weather gear for the year ahead.